Georgian cuisine refers to the cooking styles and dishes created by Georgian people.The Georgian cuisine is unique to the country, but also carries some influences from other European and nearby Middle Eastern culinary traditions. Each historical province of Georgia has its own distinct culinary tradition, with variations such as Megrelian, Kakhetian, and Imeretian cuisines. Rich with meat dishes, the Georgian cuisine also offers a variety of vegetarian dishes. Georgian cuisine is the result of the broad interplay of culinary ideas carried along the trade routes by merchants and travelers alike. The importance of both food and drink to Georgian culture is best observed during a feast called supra, when a huge assortment of dishes are prepared, always accompanied by large amounts of wine, and that can last for hours. In a Georgian feast, the role of the tamada (toastmaster) is an important and honoured position. Georgian food starts with bread. Bread is an essential component of the meal. Georgian bread is special. 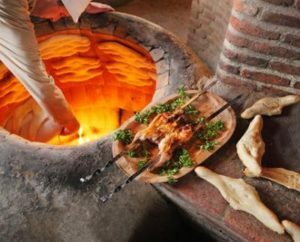 Georgian bread is baked in traditional bread baking ovens called tones. Tones are made of clay and look like the top half of clay pots. A fire burns at the bottom which heats up the sides of the oven. The bread dough is sectioned off and slapped onto the side walls of the oven to bake, turning brown and bubbly. Shotis puri is the most recognizable of the Georgia breads because of its oblong shape with pointy ends. 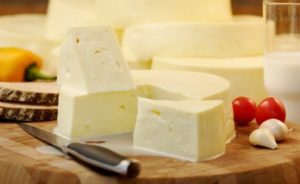 Sulguni is a Georgian cheese. It is similar to mozzarella in texture. It’s salty and it is stringy, so you can unwrap it in sections. Sulguni can be ordered on its own as an appetizer. It is also used as an ingredient in Georgian dishes like khachapuri. Khinkali is a Georgian dumpling, which originated in the Georgian mountain regions of Pshavi, Mtiuleti and Khevsureti. Varieties of khinkali spread from there across different parts of the Caucasus.The fillings of khinkali vary with the area. The original recipe, the so-called khevsuruli, consisted of only minced meat (lamb or beef and pork mixed), onions, chili pepper, salt and cumin. However, the modern recipe used mostly especially in Georgian urban areas, the so-called kalakuri, uses herbs like parsley and cilantro (also called coriander). In Muslim-majority areas the use of beef and lamb is more prevalent. Mushrooms, potatoes, or cheese may be used in place of meat. Khinkali is eaten plain, or with ground black pepper. The meat filling is uncooked when the khinkali is assembled, so, when it is cooked, the juices of the meat are trapped inside the dumpling. Churchkhela is a traditional Georgian candle-shaped candy. The main ingredients are grape must, nuts and flour. 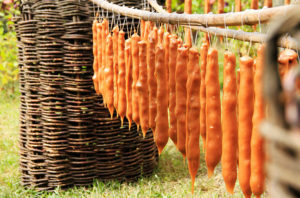 Almonds, walnuts, hazel nuts and sometimes raisins are threaded onto a string, dipped in thickened grape juice or fruit juices and dried in the shape of a sausage. The best Churchkhela is made in Kakheti region, which is renowned as the motherland of wine. Georgia is one of the oldest wine regions in the world. The fertile valleys of the South Caucasus house the source of the cultivated grapevines and neolithic wine production, from over 8,000 years ago Due to the many millennia of wine in Georgian history, and its key economical role, the traditions of its viticulture are entwined and inseparable with the country’s national identity. Among the best-known regions of Georgia where wine is produced are Kakheti (further divided onto micro-regions of Telavi and Kvareli), Kartli, Imereti, Racha-Lechkhumi and Kvemo Svaneti, Adjara and Abkhazia. 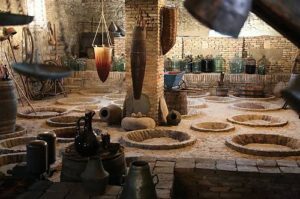 UNESCO added the ancient traditional Georgian winemaking method using the Kvevri clay jars to the UNESCO Intangible Cultural Heritage Lists. Lagidze water is a Georgian flavored soda drink, made with a variety of natural syrups, sold bottled or mixed directly in a glass from a soda fountain. 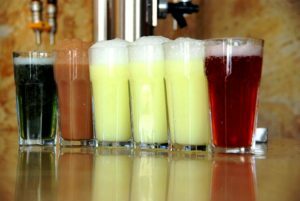 Common types of mineral water from Georgia include Borjomi, Nabeghlavi, Likani, and Sairme.